A rich, experiential compendium of journey stories chosen among thousands in conservatory of shamanic knowledge. When anthropologist Michael Harner’s groundbreaking book, The Way of the Shaman, was published in 1980, it laid the foundation for recovering sacred wisdom and indigenous practices that Christian missionaries had nearly eradicated. Together with the works of Eliade, Castaneda, and others, Harner’s work nurtured the growing interest in shamanism in the West. After more than three decades of face-to-face teaching of the traditional way of imparting shamanic wisdom and experience, Harner now shares the fruits of his life’s work. Cave and Cosmos is a rich, experiential compendium of journey stories from “nonordinary reality,” selected from more than 5,000 such records in the Shamanic Knowledge Conservatory at Harner’s Foundation for Shamanic Studies. Opening with his own experience as a young anthropologist-in-training, Harner touches on its historical roots, including how anthropologists viewed shamans and shamanic practices. In the 1950s, though, scholars were “both fascinated and perplexed,” they considered shamans “delusional and … schizophrenic.” Harner interpreted his experiences differently. While he was an early experimenter with the psychotropic path into nonordinary reality, he came to discover that drumming, what he calls “sonic driving,” was commonly used (and effective) as a way into altered states of consciousness. A chapter called “We Exist! The Spirits Call for Recognition,” gives readers the “miracle” context, how shamanic activity is commonly perceived. Other chapters report on journeys to power animals (also covered in his first book) and “Drumming Over the Rainbow” as the Westerners ascend to the upper world. Both upper and lower worlds are home to “compassionate spirits,” according the journeyers’ stories. It is from these compassionate spirits that shamans access healing skills and other learning. While some may find credulity stretched, open-minded readers can see the common journey experiences from early shamans to contemporary Westerners revealed. 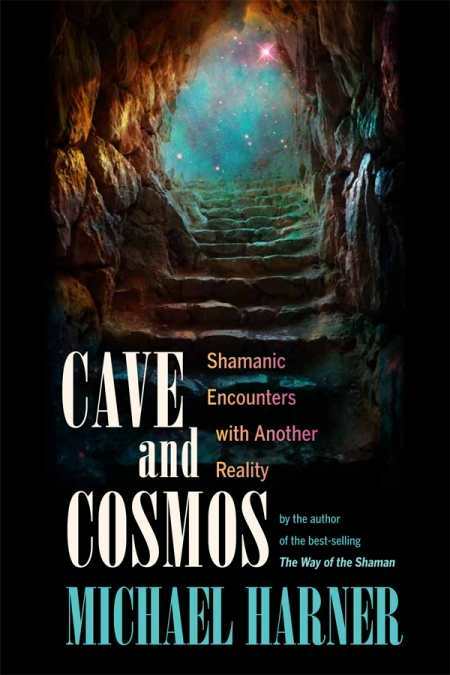 Harner calls shamanism “a path of independence leading toward spiritual freedom … freedom to know, not just believe.” In Cave and Cosmos, readers will find experiential stories and practices, leading from a “belief” in spirits to be replaced by “knowledge:” Spirits are as real as family and friends in ordinary reality.